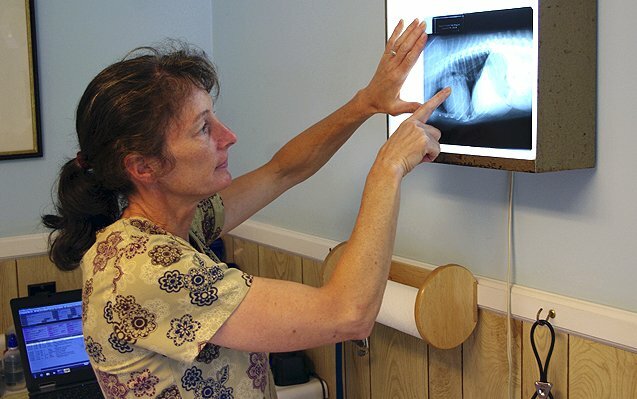 Because of our limited abilities to communicate with pets, x-ray radiography is one of the most useful and commonly used medical diagnostic procedures. A radiography exam can help us evaluate just about every vital organs and bones in the body of your pet and pinpoint abnormalities. Radiography is painless for your pet, safe (uses only very small doses of radiation) and quick (only takes a few seconds). Our doctors are skillfully trained to evaluate pet radiographs and to share their findings with their owners.